Your success at trade shows is determined by your ability to attract prospects, over and above your competition. Great signage can give you a big advantage in this area and there are many different ways you can approach this. Often, each exhibitor may have a table dedicated to their company or a larger section with multiple tables in one area. 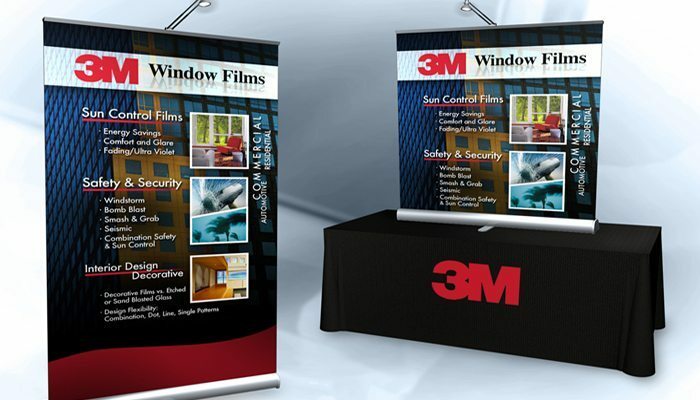 In either of these situations, table top displays can be a great way to promote a message to anyone passing by and attempt to garner interest in your business. At Southern Star Signs & Graphics, we know the impact a great table top banner can have. That’s why our in-house team is geared up to help you with every stage of your banner creation; from design, through to manufacturing and printing. Table top displays tend to be at the smaller end of the trade shows graphics spectrum and it’s important to bear this in mind through the design stage. They need to be attention grabbers; the goal of a table top banner is to get someone to stop at your stand and engage in a conversation. Therefore, it’s important not to go overboard with the amount of detail you include on the sign; you’re not trying to sell anything other than a conversation. It should be seen as an opportunity to create some positive branding, maybe with the use of an image, and carry one key message that will pique your audience’s attention. If your company sells quite a wide range of products or services, you should think about narrowing down your message to one area; it’s better to show one problem that your company solves and create a really clear message around this. Consider your audience when deciding this; you can always expand the conversation into other areas once you’ve got them talking. Our graphic design team will be more than happy to take you through all the things to consider when designing your sign. 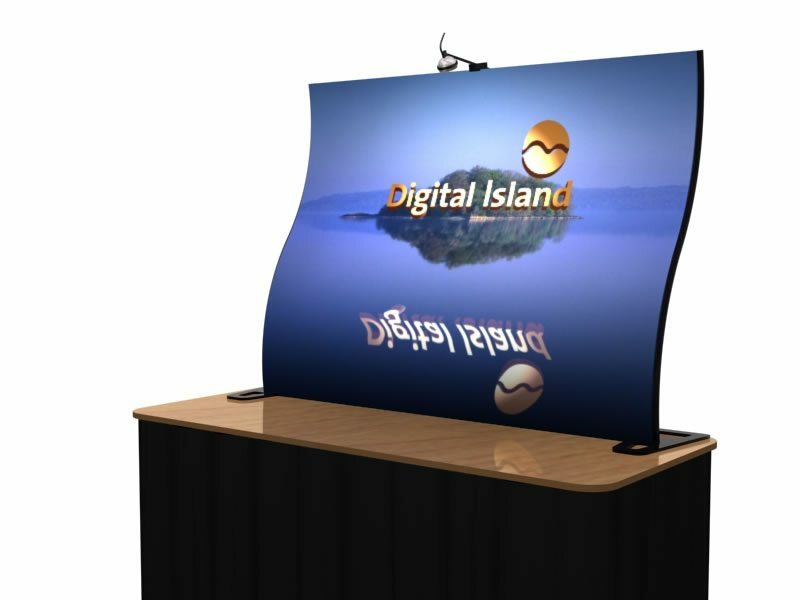 Table top displays can take many forms; they may be fabric attached to a telescopic roll for ease of transport and set up. Alternatively, they could be panels that sit on the table and can be changed and updated for each event. Whichever method you go for, with Southern Star Signs & Graphics, you can be sure you’re getting great build quality and top class materials. 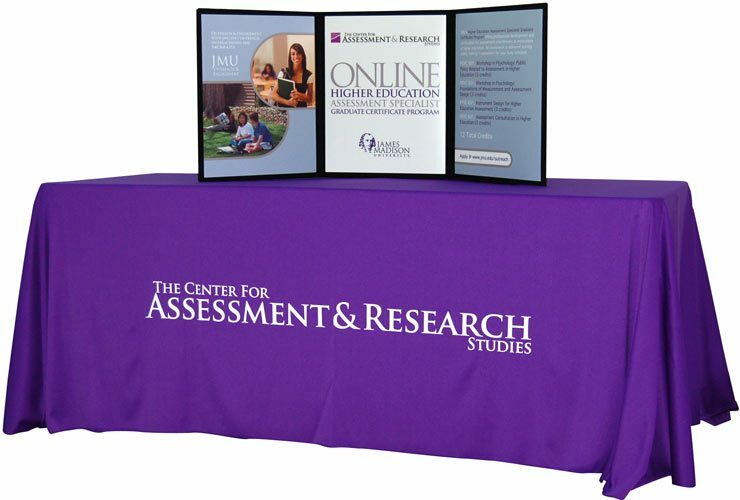 When we create a table top banner, we use the best fabric and the latest printing technology to guarantee a sign that will look great for a long time.All of our printers use latex-based techniques, which create a stunning result and are kinder to the planet than traditional solvent-based methods. We believe that our signs are an investment that will pay back; both in terms of new business generated and the years of great use you will get out them. To understand how Southern Star Signs & Graphics can help you create table top displays that will create a great impression, get in touch today.